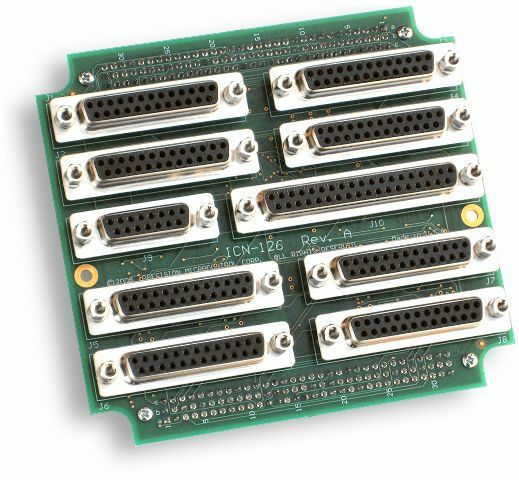 ICN-126 - D-sub Interconnection Board with on-board opto-isolator circuits: Plugs onto a MultiFlex ETH 1000 series Ethernet motion controller and features eight 25-pin D-sub connectors for all axis I/O, one 37-pin D-sub connector for 32 digital TTL I/O and one 15-pin D-sub connector for 8 optional analog inputs. 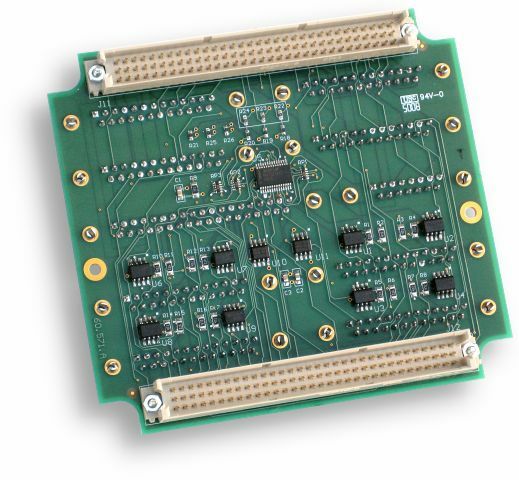 Also provides 16 additional opto-isolated input channels and 4 additional open-collector outputs for axis I/O. 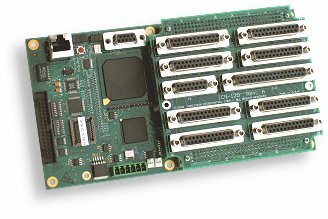 D-sub interconnection board mounted on a MultiFlex ETH 1000 series Ethernet motion controller.